The portraits of the children are very special to me. Life is so chaotic and moves so quickly; I love being able to walk into a room, gaze at a portrait of one of the children and be taken back in time. Our walls reflect what is important to us and I feel so lucky to have them! We have been so fortunate to have you capture many of our family’s most precious milestones. Our first portrait taken more than twelve years ago captured our children’s personalities and started a tradition that has been with us through many special occasions. Family is the most enduring gift in life and these creative expressions continue to make us smile, bring back past moments, and inspire hopes and dreams for our future. My favorite gift for Christmas this year was the picture of my Pepere. Seeing my grandfather in his element is a memory I will treasure always! 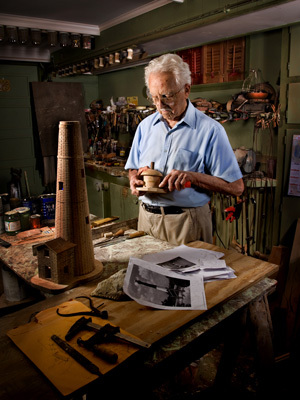 You know you are a gifted photographer when you can even make my Grandfather’s workshop look good! Your work is beautiful. My Mom loves her portrait. My Father thought it was amazing! Thanks for the awesome work but most of all for being who you are. You guys are really amazing people and my Boys love you! Thank you so very much for our beautiful family pictures. The picture of the boys absolutely melts my heart. They were hung on the walls within seconds of arriving home. We are more than thrilled with how they turned out; you are amazing at what you do. Thank you so much for the wonderful moments you captured for us. Moments we will always treasure. You are dearly appreciated and loved by all your clients. I wanted to let you know that my portraits look absolutely lovely hanging on the wall. I keep catching Matt and the kids just staring at them and I also can’t stop looking at them. I am completely overjoyed and thank you for the great work. I love my portraits and wanted you to know about the amazing response I received to my Christmas card. I have never had anyone call me in the past to compliment my photo card of the kids and this year I received so many phone calls. Thank you.